A Halloween party is fun for all ages, and there are plenty of Halloween party ideas that will ensure your kids have oodles of fun with just a little bit of spookiness. 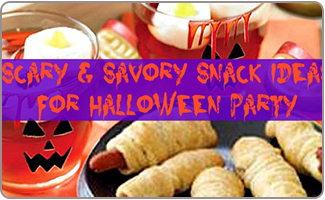 Kids Halloween party ideas for food, games, decorations and more will make this Halloween a party to remember. Therefore, here are some spooktacular Halloween party ideas in India for you to host a wicked and wacky Halloween birthday party for your lil monster. A day party is probably best for younger kids as they go to bed early. Older kids will enjoy a night party when the dark can be part of the fun. 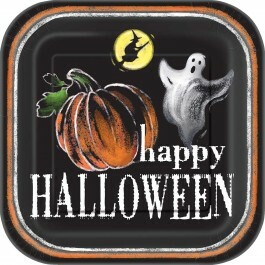 Decide halloween theme for the party and order your Halloween Party Supplies atleast a week in advance. Have a few extra costumes on hand in case one of the children has an accident and needs to change. They won't feel left out that way. If Halloween falls on a weekday, chose the weekend before to hold your party. There are so many different Halloween party ideas that invitations can be in a wide variety of themes. 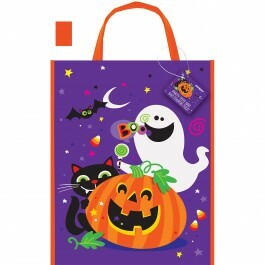 Choose from classic Halloween themes like witches, vampires, bats, and of course pumpkins. 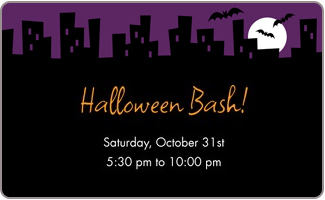 Pre-printed Halloween birthday invitations from our selection make it easy to simply fill in the details. A simple homemade Halloween party invitation can be a piece of orange paper cut into a pumpkin shape. Write the party information on the back of the pumpkin. Be sure to send out your party invitations early as people may make other plans otherwise. 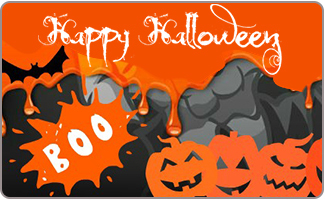 Use Halloween clip art found online to create and print you own Halloween party invitations. Young kids will also enjoy Halloween party games that are a twist on originals, such as pinning the tail on a black cat, or a game of hot pumpkin instead of hot potato. Play a Halloween version of "Who Am I?" by pinning a picture of a classic Halloween character – ghost, mummy, witch, vampire, to each person's back and having them go around asking questions to figure out who they are. Fun Halloween party ideas can be found in a simple competition. Buy two plastic skeletons and take them apart. Race to see who can properly reassemble the skeleton the fastest. 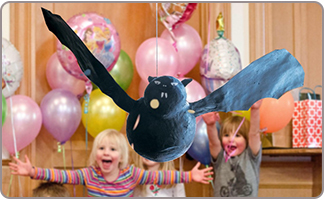 Hang a flying bat Piñata or a pumpkin pinata it will make a frightening decoration and will be a fun activity too for the kids, fill it with some petty Halloween favors. 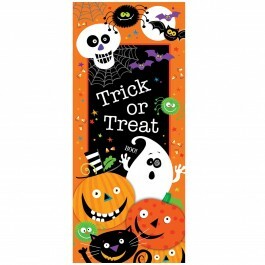 Kids Halloween party return gifts when given in Halloween Treat Bags will double the fun of treats. 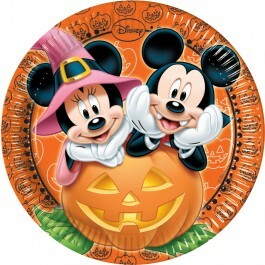 In addition, let the guests fill their gift bags themselves at trick-or-treating stations around the room. 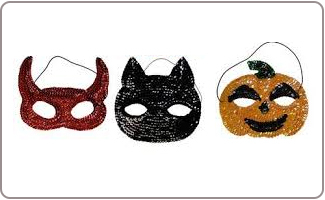 Send everyone home with a carved jack-o-lantern or give them Halloween accessories like fun masks to woo kids such as frightening bat mask, cat mask, a cute pumpkin mask, a creepy owl mask etc. 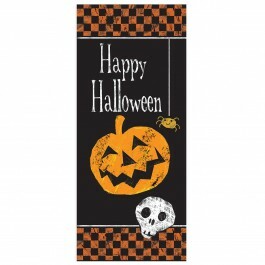 Halloween themed favors available in our great selection of party supplies are an easy way to give everyone a thank you gift for joining you. Halloween candy is of course a staple of any party. 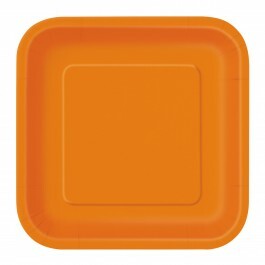 Place dishes of candy corn, mini chocolate bars, and other classic Halloween candy around the party space. 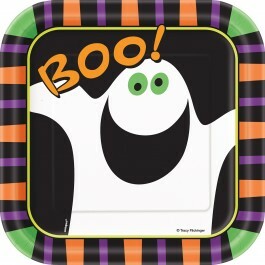 Choose a few fun kids Halloween party ideas for a fun looking but scary punch. Use food coloring to turn juice a different color such as green or red. 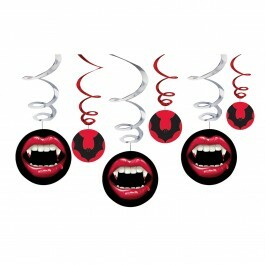 Fill the punch bowl with Halloween themed ice cubes made with special forms. Cookies cut and decorated in a Halloween theme are fun Halloween party ideas for kids that you can make along with them ahead of time. Create a jack-o-lantern pizza by shaping the dough like a pumpkin with a stem at the top, and then making a face with pepperoni and other toppings. 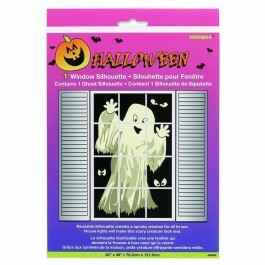 Our selection of fun and spooky Halloween party items will give you plenty of Halloween decorating ideas to choose from such as Halloween silhouettes, vampire hanging swirl decorations, skelton shape balloon, mini ghostly cutouts and more. 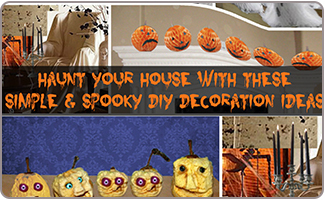 A haunted house theme is classic and fun. Hang cobwebs in the corners and a fake chandelier from the ceiling. Use electric candles for an eerie low light that is safer. Hang spooky portraits on the walls and place a Skelton Airwalker Balloon at the enterance to give a frightening welcome to the guests. A scary noises CD can provide the right ambience. Create a graveyard in your front yard. You can purchase ready-made tombstones, or make your own with Styrofoam squares. Add funny epitaphs. Scatter bones around the yard and add a "cemetery" sign. Black and orange are perfect for any Halloween party; choose balloons, streamers and tablecloths in those colors to round out the décor.